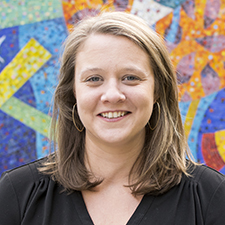 Justine Beaton joined EdVestors in fall 2016 as Director of Grants and Development Operations, where she manages the grant writing process and operations of the development team. Justine worked previously for the Youth Development Institute, a New York City based capacity-building organization where she held multiple positions. As Development and Operations Manager, she directed public and private fundraising, developed and managed organization and program budgets, and streamlined operational processes. Justine graduated from Tulane University with a B.A. in Sociology and received a Master of Public Administration in Public and Nonprofit Management and Policy from New York University’s Robert F. Wagner School of Public Service.